In 2005 the World Ironman Corporation invented a new Ironman race, the Ironman 70.3., with a swim distance of 1900m, a cycling distance of 90km and a half-marathon. Like in the prestigious and original Ironman race with its World Championships in Hawaii, there would be an Ironman 70.3 Worldchampionship race taking place every year, in Clearwater, Florida. A few qualifying races were scattered around the world and in each race category (PRO-F, PRO-M, age groups male and female) one slot for the Worldchampionship race would be awarded. The first ever Ironman 70.3 race was organsized in Longleat in the UK. I had only competed in a few olympic distance triathlons before and I was keen to change to Ironman triathlon. The Ironman 70.3 seemed to be the right transition from olympic distance to full Ironman distance. I had actually registered for another olympic distance race in the UK together with several other members of the Cambridge Triathlon club. My coach at the Cambridge Triathlon club, Tim Williams, decided though that I was ready for the Ironman challenge and so I had to cancel the olympic distance race and register and prepare for the Ironman 70.3 race in Longleat. Longleat is a beautiful National Park with a castle and a gorgeous lake. I arrived at the race venue a few days before the race and so I had some time to look around and practise on the cycling race course. I had never seen such steep hills in England before! The roads were covered with gravel which made it even more dangerous to cycle fast. In my first Ironman event I was clearly pushed to the borders of my strength, endurance, and mental fitness. There were two bike transition areas, one at the lake outside the park, next to the swim start, where we had to rack our bikes on the day before the race and where we were supposed to pick them up after the swim race. The other bike transition was located inside the park close to the castle, where we had to drop off the bikes after the cycle race and change into our running equipment. The race was in September and the water in the lake was freezing cold when I entered the swim course. It took my breath when I first dived in. I did my first Ironman race together with Chris, an age grouper from the Cambridge triathlon club and we were both supported by his wife Helen. I was swimming up and down the shore trying to warm up and find my rhythm. cooled down completely. I raced the whole bike course without technical problems but I was just freezing cold until I reached the second transition area. The run was my best event in this race. The race course had a hand shaped form and we had to do several laps of it. I saw Chris several times on the run course and so we could support each other. I finished third in my category and I was awarded a slot in the First Ironman 70.3 World Championships in Clearwater which would take place in November 2006! The Ironman 703 course in Longleat was declared as too hard for an Ironman race by the World Triathlon Corporaton and so in 2006 the Ironman 70.3 UK was moved to Wimbleball Lake in Somerset, close to the full distance Ironman UK course in Sherbourne. 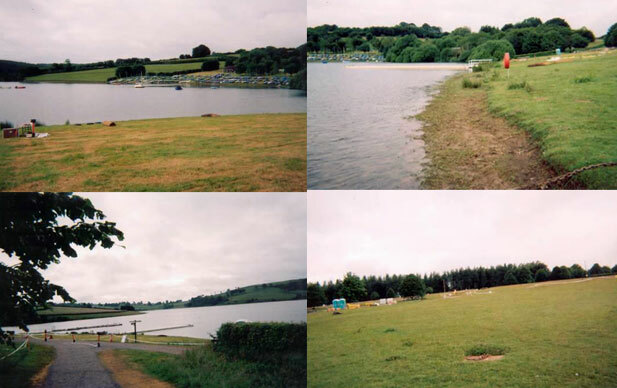 I competed again in Wimbleball Lake in June 2006 eventhough I had already won a start place in the Worldchampiosnhips in November 2006 with my performance in Longleat. Practise makes the champion! I won the Ironman 70.3 race in 2006 in Wimbleball Lake and I was awarded a second slot for the Worldchampionships in Florida which I had to pass on to the next athlete in the ranking of my category! Official Ironman Press Release here.